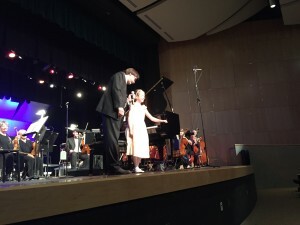 Congratulations to Emma Erickson (9 years old) on her beautiful performance of the first movement of Mozart’s Piano Concerto No. 23 in A Major with Inland Valley Symphony! If you missed this concert, here is her performance on YouTube. Congratulations to the following students who received Gold Medal at Temecula Spring Music Festival: Kristen Law, Shania Jin, Fiona Harley, Ron Lycan, and Jessica Kim. On May 16, the following students will compete at this annual competition: Noelle and Rachel Hong, Hannah Diep, Adysen Chung, Emma Erickson, Hudson and Hunter Erickson, Claire and Catherine Howard, Cameron Chang, Meijke Bakay-Mickelson, Fiona Harley, Jessica and Jeffrey Kim. Good luck to them! 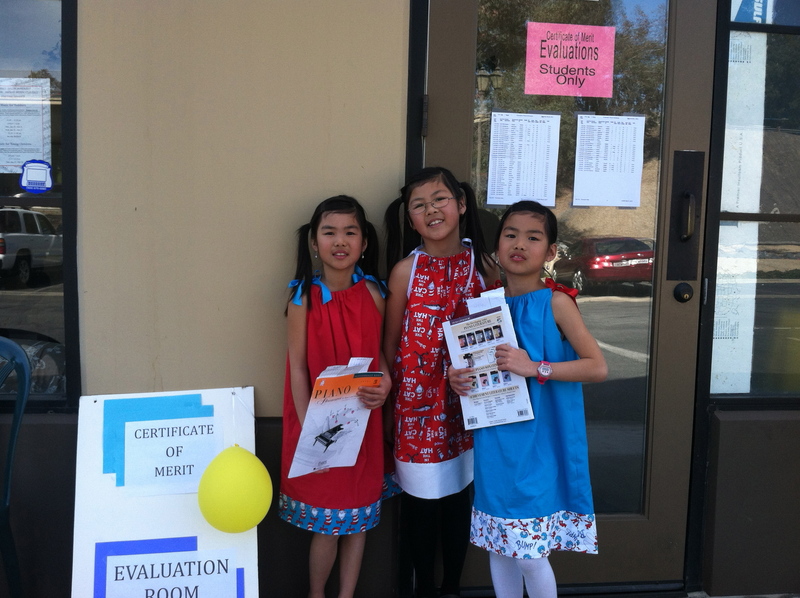 On May 17, six students from our studio will compete at the Regional level of the SCJBF held at La Sierra University. 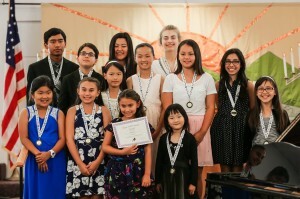 These students were chosen as Branch Winners from the Temecula Festival earlier this year: Rachel and Charys Hong, Kelly Rausch, Charmaine Tan, Meijke Balay-Mickelson, and Catherine Howard. Kristen Mischka Law was born in San Diego, Calilfornia. She is six years old and goes to Kindergarten at Linfield Christian School in Temecula. Kristen showed interest in music at a very young age. She enjoys music in many different genres, such as classical, jazz, pop and urban. 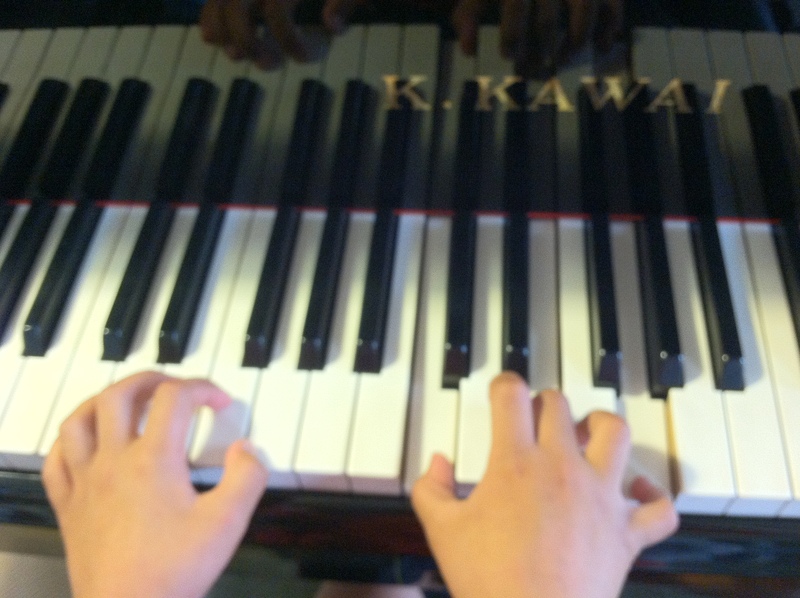 She started piano lessons with Yiyi in June 2013, when she was four years old. 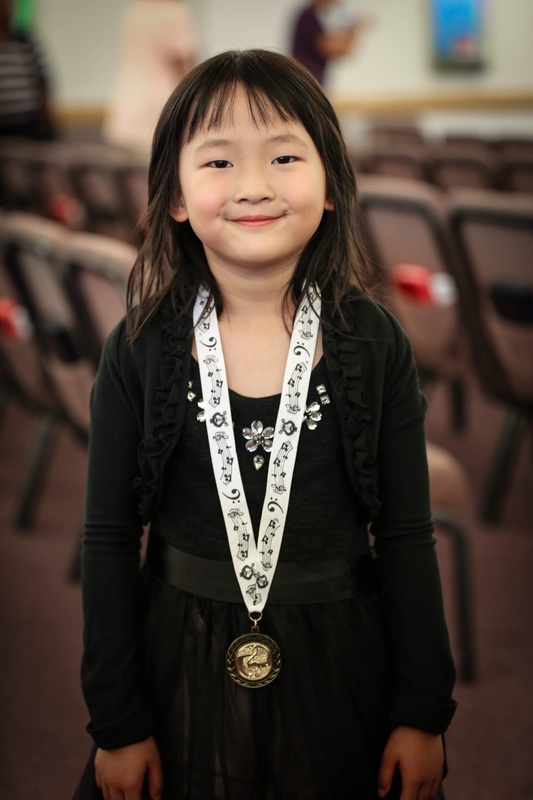 Since then, she has participated in numerous recitals, Guild auditions, and most recently, the awards recital of TVMTA Spring Festival, where she was very excited to receive her first gold medal. She was also honored to be one of the featured players at Yiyi’s presentation at the MTNA conference in Las Vegas earlier this year. Every week, in addition to her her hour-long piano lesson, she takes classes in martial arts, art, swimming and Mandarin Chinese. She is fluent in Cantonese and has expressed interest in learning sign language. She also enjoys reading, rollerblading and fishing. Teacher Comment: Kristen is a joy to teach! Her genuine enthusiasm and curiosity in music is truly infectious! She always comes to her lessons so happy, and I just love her smiles. She has worked so hard for me and has made so much progress. Sometimes I forget she is only 6 years old. She played perfectly at my MTNA presentation, and I am very proud of her. Congratulations on getting your first Gold Medal and keep up the great work, Kristen!